This comprehensive e-Book “Laboratory Notebook Documentation” covers the essentials of GDP, its definition, purpose, and importance. Then expands on general rules and principles of GDP in Laboratory Notebook documentation with real-life examples to help you grasp the concepts discussed. Laboratory notebook documentation is a part that is covered under Good documentation Practices (GDP), an essential regulation that needs to be closely followed by the personnel in any regulated environment. GDP describes standards and Best Practices on how to create, maintain, and archive documents to remain compliant. It is a part of Current Good Manufacturing Practices (cGMP) and regulatory bodies inspect against the GDP guidelines. If companies are not following the GDP guidelines, they may get comments, observations, 483s, and penalties from the relevant regulatory body in charge. 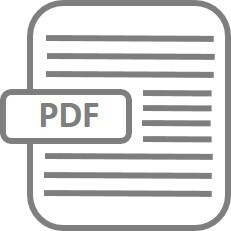 This e-Book “Laboratory Notebook Documentation” covers the essentials of GDP, its definition, purpose, and importance. Then expands on general rules and principles of GDP in Laboratory Notebook documentation with real-life examples to help you grasp the concepts discussed.